Get your augers ready! We’ve got over $30,000 in prizes. Hundreds of anglers head to Warroad for there chance to win. 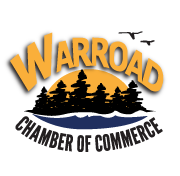 Tickets are available at local Warroad businesses for $20 each or online by clicking here. Book your room and spend your weekend with us.